There are adventures and journeys with low, low valleys and magnificent mountaintops. There are dastardly critics and wonderfully supportive encouragers. I don’t know what will happen if you venture out your front door into the great, vast world. But I do know that you won’t achieve anything unless you take a deep breath, open the door and march out with boldness to follow your dreams. 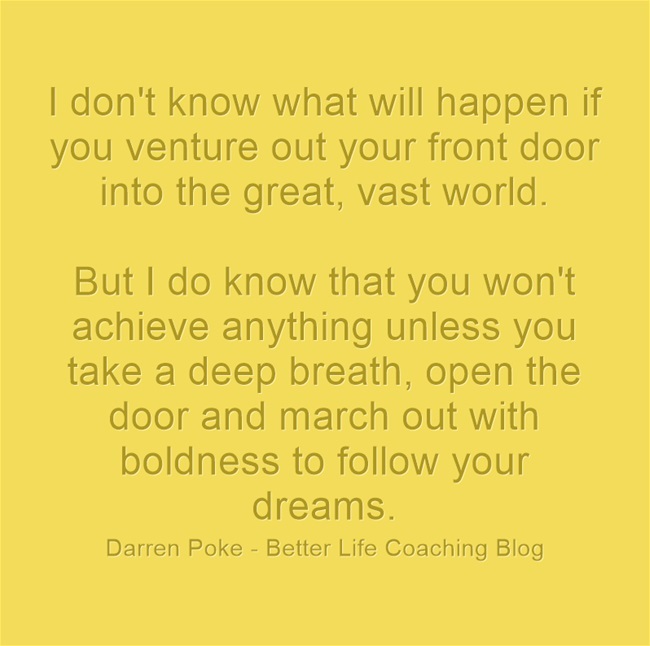 You have to march out the door to follow your dreams…this is the only way…I am one with this!